At Total Digital, we are more than just a quick print service that offers you a design by template. Our design team takes great pride in the development of your corporate communication needs, because your printed material should reflect the excellence of your company, to build and strengthen that all important company image out in the market place. We will listen to your brief and work closely with you to produce a brand identity that really works. With many years experience in the design and print industry, our team of dedicated Graphic Artists develop and manage corporate Identity and promotional programmes for a variety of companies and organisations. We have generated a strong and proven management philosophy towards the “Corporate Image” and how best to implement a visual profile within an affordable budget. The design team are ever ready to assist with the creation of effective communications for your business. 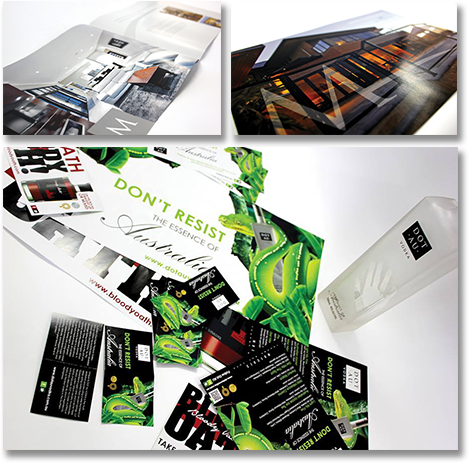 Quite simply, we can manage any graphical requirement and give you advice on print production options. If you’re starting a new business or thinking about a brand ‘make over’, contact us to discuss how we can help make your company shine in the market place! We can take you one step further by offering you the many benefits of our print management service, our design team will advice when best to use digital print or offset print technology, to deliver to you the client the best outcome for your needs and budget, ensuring the best return for you, our most important client.